To drive association between Budweiser + music amongst the student community. 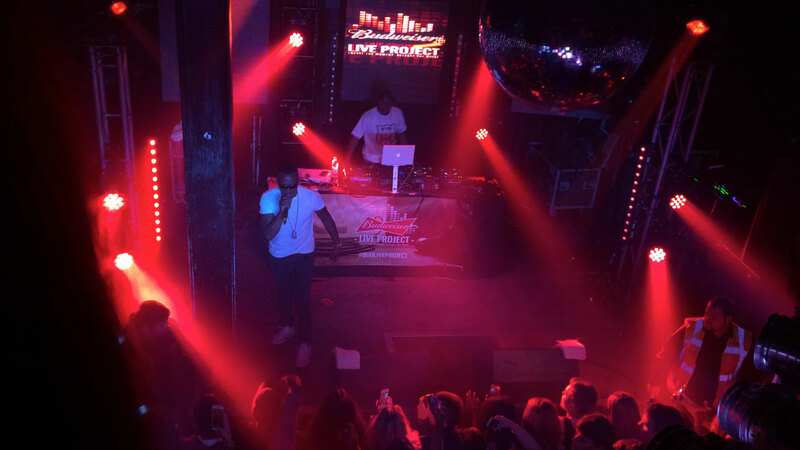 The Budweiser Live project was a music platform putting fan experience at its heart. Featuring nine live gigs across the UK, each held at a credible University city venue renowned for its music heritage and featuring some of the hottest talent in UK music including Krept and Konan and Twin Atlantic. Bought to life on campuses with a fan powered Pedibus, taking new students out of freshers fairs and on on a musical journey of their University city. The activity was supported with a grass roots student influencer programme, driving the hype around the Live Project gig and platform. All Budweiser Live project gigs were oversubscribed, with 15k ticket registrations and hundreds of thousands of students directly engaging with the campaign. Brand metrics surpassed and Seed made co-lead on Budweiser's UK music strategy for 2016. "We've been working with Seed for just over a year, and the team is now one of our key strategic partners, targeting the student market for Budweiser. The team has not only a very strong, reliable network in the student market which gives them a lead on insights and trends in the market, but also a really creative mind, consistently looking for new, fun and engaging ways for our brand to engage with students in a responsible way."